Author: Sabine Steinbrich. Series edited by: Beatrix Heintze, Karl-Heinz Kohl. The present study deals with the relation between fantasy and reality in Westafrican cultures. 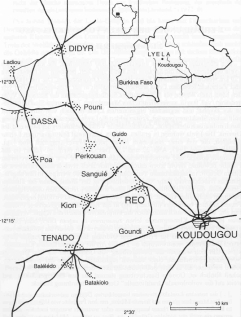 As an example the Lyela in Burkina Faso were chosen. Starting from the experience that many facts of the non-material culture are inconceiveable through participating contemplation and questioning – the two most important methods of ethnographic field research –, this work approaches oral literature as a further source that allows statements on the society which produces this literature. Oral literature, especially narratives, are analysed in its correlation with the cultural background of its narrators and listeners. It is shown how the art of narrating, the family and everyday life, politics and religion are connected. The relations between the level of symbolic and metaphoric imagination and the behaviour of human beings are revealed. After a theoretical part on the narratives of the Lyela in Burkina Faso, the traditional society model of the Lyela and the character symbols in Westafrican narrations in general, each single narration of the Lyela is classified by the following thematic main fields: work and struggle for existence, poverty and wealth, love and hatred, jealousy and solidarity, gender relations and mythical motives. These fields are analysed regarding their respective meaning for the different social aspects like family and everyday life, politics and religion. An index of the over 70 reproduced narrations allows a quick and selective access to any single narration. The present volume is therefore of great interest for literary scholars specialized in comparative studies and friends of African narrations as well. Ethnologue de terrain, travaillant chez les Lyela du Burkina Faso, Sabine Steinbrich a pu observer à loisir pendant son long séjour (deux ans et demi) les producteurs et les consommateurs de l’art oral et voir dans la pratique l’entrecroisement de l’art narratif avec la vie quotidienne villageoise ainsi qu’avec les pratiques politiques et religieuses. 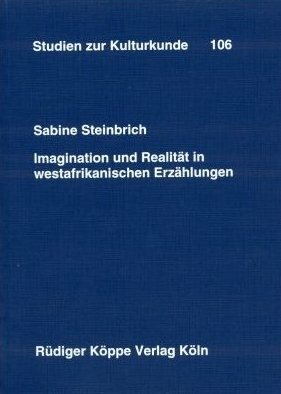 Dans l’élaboration de son matériel, Sabine Steinbrich situe sa recherche dans la lignée des ‹oralistes› africanistes français dont l’objectif principal est d’élucider les sens multiples que revêtent les différentes variantes et versions des textes oraux étudiés. [...] Il faut enfin souligner l’importance de ce livre très riche. Il sera utile pour tous les spécialistes de la littérature orale africaine ou non africaine. On voudrait aussi espérer qu’à la lecture de tels travaux – tirant leurs ressources d’explorations approfondies sur le terrain et d’analyses comparatives d’ envergure – ethnologues et anthropologues finiront par reconnaître la place de l’‹oratur› dans leur propre discipline.